If you are looking to equip your AK47 with the industry's latest and greatest add-ons, you may need an interface that's a cut above the standard Picatinny rail. For maximum versatility and performance, KeyMod is the clear choice. New from the industry-leading firearms engineers at AIM Sports, the Yugo M70 AK-47 KeyMod handguard features a drop-in design for easy installation and a host of Picatinny and KeyMod slots for versatile modifications. This heavy-duty guard is machined from 6061 aluminum and anodized for hard use. It features a Picatinny 1913 top rail for traditional add-ons with a grenade sight cut-out. 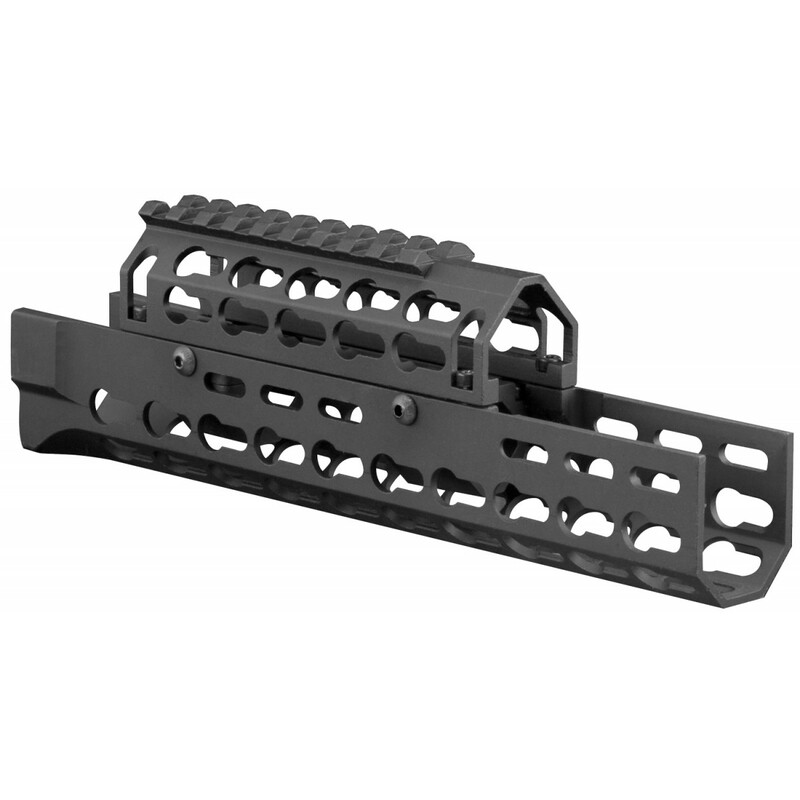 To handle extra equipment, the Yugo AK Handguard mounts with unique barrel clamps and features 9 KeyMod rows for ultimate modularity. The best part? No gunsmithing required for installation. Ensure that your AK47 is ready for any and all modifications: order the durable, versatile and great-looking 9" Yugo AK47 KeyMod Handguard for Firearm Use here at Airsoft GI!